It’s just over one month that Portland Sunday Parkways begins. If you are unfamiliar, each month from May through September, several streets are shut off from motorized vehicles in different parts of the city. Then people walk the streets, bike, unicycle, and several vendors come out, as well as live music, and other entertainment. It’s a great time! In 2014, 108,900 Portland area residents and visitors participated in Sunday Parkways! This year, Sunday Parkways is happy to present five more fun community connecting events. 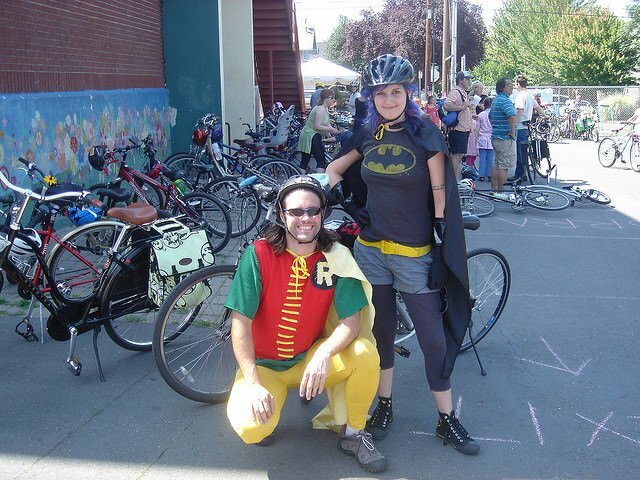 This entry was posted in All Ages, Family Friendly, Festivals, Summer Events and tagged 2015 portland events, 2015 portland festivals, 2015 portland sunday parkways, East Portland Sunday Parkways, North Portland Sunday Parkways, Northeast Portland Sunday Parkways, portland august events, portland bike events, portland festivals, portland july events, portland june events, portland may events, portland september events, portland summer events, portland sunday parkways route map, portland sunday prkways, Southeast Portland Sunday Parkways, Tilikum Crossing / Sellwood Portland Sunday Parkways.